How to structure all those models? As a practical example, how do we model the logical and virtual resource representations that may be present on a network device, such as Virtual Routing and Forwarding (VRF) instances and Virtual Switch Instances (VSIs). Should all YANG data models contain a logical network element container, just in case a router supports a VRF or VSI? 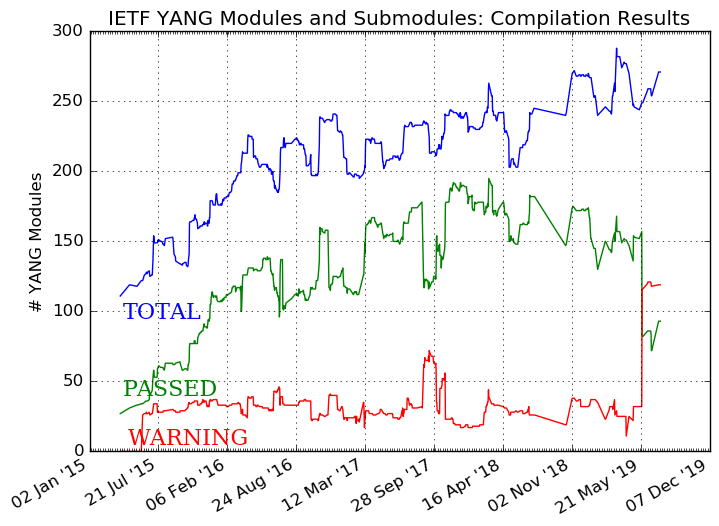 On that front, the NETMOD WG is currently working on “mount” solution, a mechanism to combine YANG modules into the schema defined in other YANG modules. This mechanism would allow a simplification of the device model, particularly for “lower-end” devices which are unlikely to support multiple network instances or logical network elements. Previous Post: YANG as the Data Modeling Language in the Internet of Things (IoT) Space?